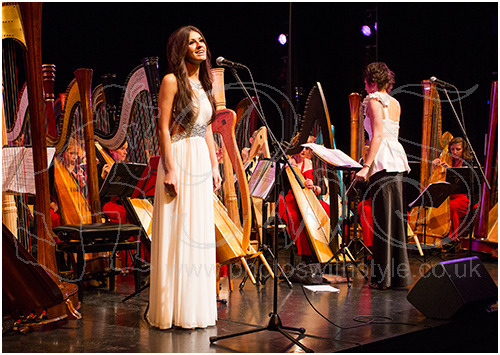 PhotoswithStyle: What do you get when you cross a mezzo-soprano with harps? What do you get when you cross a mezzo-soprano with harps? It may be hard to imagine what Faryl Smith's fine voice sounds like when accompanied by a whole platform of Luisa-Maria Cordell's brilliant International Harp Ensemble, so if you don't already know then have a listen to When I Survey The Wondrous Cross. Then come back here and check out my Music & Bands and Close-up galleries for more beautiful pictures.